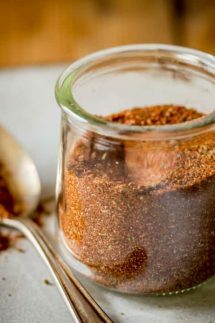 Homemade Blackened Seasoning - Perfect for Fish, Chicken and more! 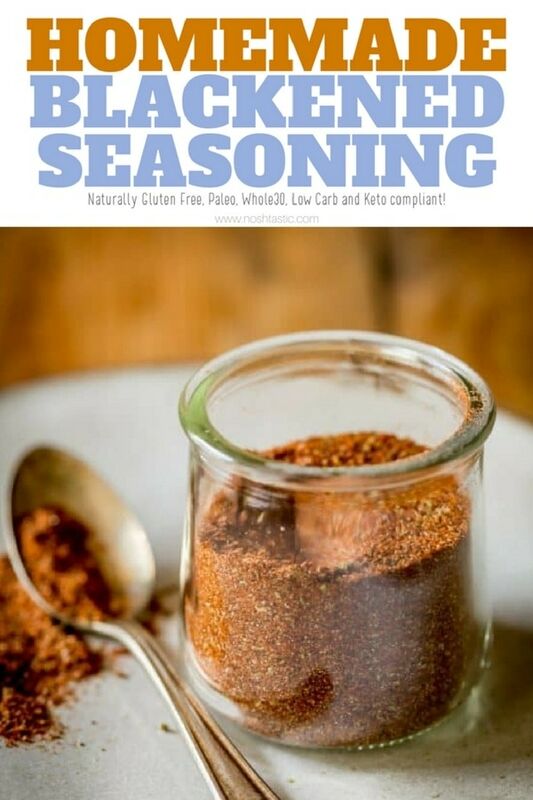 The BEST Homemade Blackened Seasoning recipe with easy tips for cooking with it! It’s naturally gluten free, paleo, Whole30, Low Carb and Keto compliant, there is no sugar added. 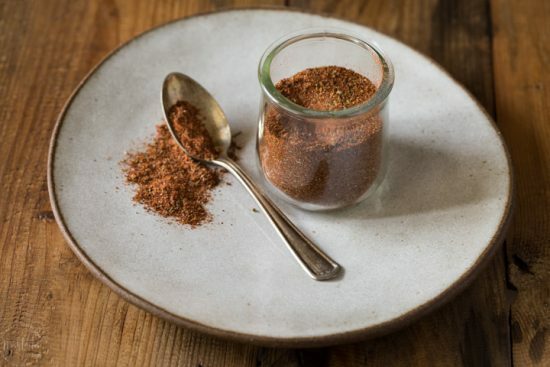 You might be wondering, ‘What is Blackening Seasoning?’ Well, it’s a a super simple combination of spices that when mixed together and rubbed onto meat or fish creates a wonderful smoky, spicy flavor to the finished dish. It originated in New Orleans and was the creation of Chef Paul Prudhomme from his K-Paul’s restaurant. 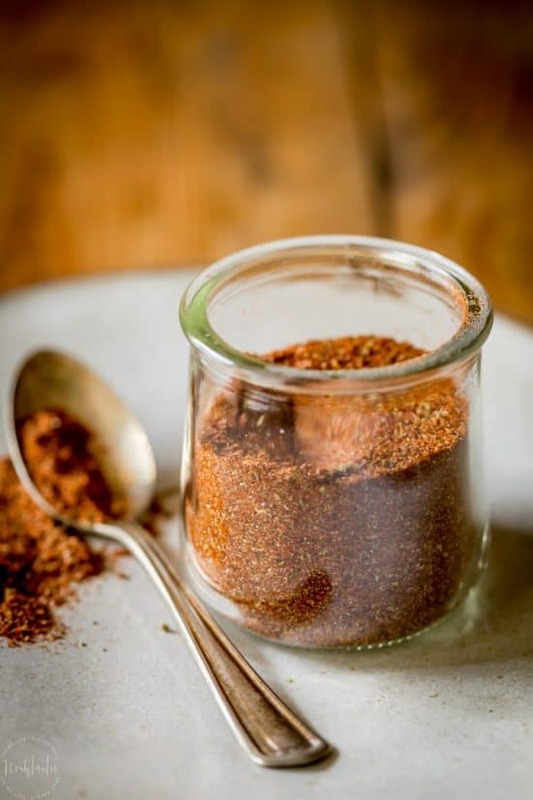 Originally it was used to blacken Redfish, but now it’s widely used for all sorts of fish including Salmon and shrimp, and other meats such as chicken too. How do you Blacken Fish? I find that the best way to make blackened fish is in a well seasoned cast iron skillet. I simply rub the spices liberally over the fish, or if it’s shrimp I toss it to make sure it’s well coated. Then, I add a couple tablespoons of oil to the skillet, then add the spice coated fish and cook on a medium heat until done. The result is a wonderful blackened crust! Store in an airtight spice jar for up to six months. This blend is especially good on fish, but you can also use it on chicken, pork and other meats. I love the spice of blackened foods. I love that you show us how easy it is to make the spice on our own so we don’t have to buy it. Thank you Sandi, we use this recipe a lot, especially good with shrimp!